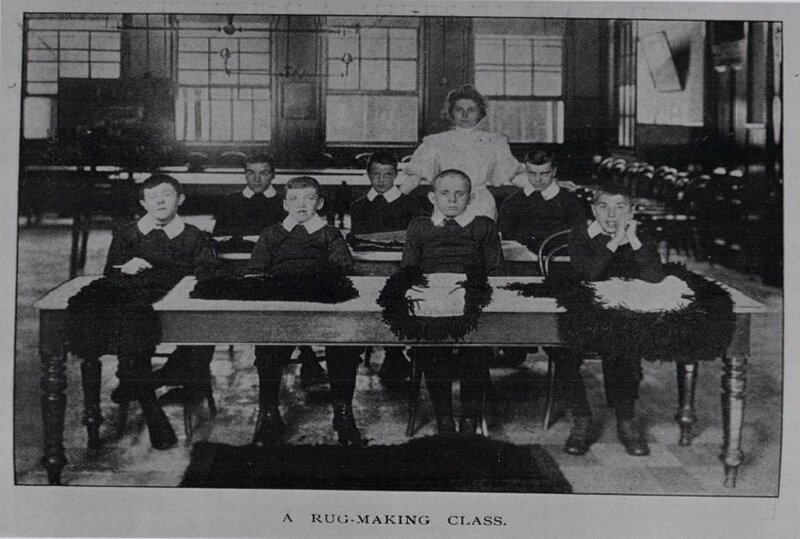 In this photo we can see two rows of young boys sat at desks. They have their rug work in front of them. The rugs look to be ‘rag’ rugs. The boys are dressed smartly. A woman is with them, presumably their teacher.